If you missed them, Part 1 of our Mega Guide is HERE and Part 2 is HERE. An autonomous, flying swarm of drones is set to perform on the beach near the Faena Hotel from 9 p.m. to 2 a.m. on December 6. The "sculpture" called "Franchise Freedom" is the work of Amsterdam-based duo Studio Drift (Ralph Nauta and Lonneke Gordjin). The work is hosted/sponsored by PACE Gallery , BMW and Faena Art. Date and time are subject to change due to weather. Confirm on Instagram @studio.drift. The Perez Art Museum Miami, aka PAMM (1103 Biscayne Blvd., Miami) has an ongoing exhibition called "On the Horizon" that features works by Cuban artists from the Jorge M. Perez collection. It is being presented in three "chapters" with "Chapter 2: Abstracting History" on view during AB/MB. 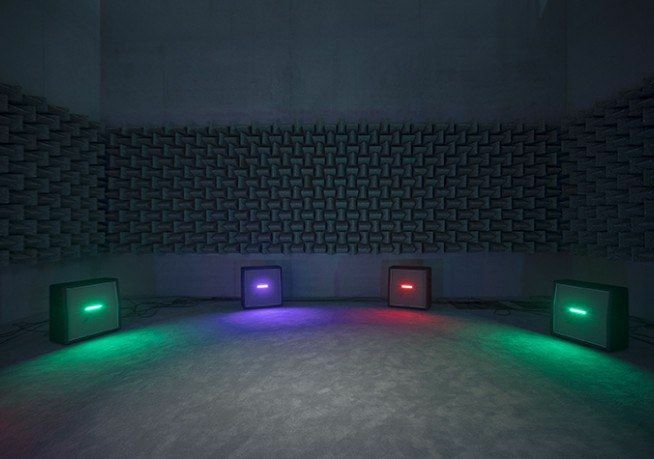 Also up during the week: "Dara Friedman: Perfect Stranger," "Steve McQueen: End Credits" and "Haroon Mirza: A C I D G E S T." The Friedman show is the Miami-based artist's largest exhibition to date and is her first career survey, featuring 17 major film and video works. The Patricia & Phillip Frost Art Museum FIU (10975 SW 17th Street, Miami) will showcase their latest acquisitions from Univision Communications Inc. in an exhibition called "Reflections of the Americas" featuring 57 works by 40 artists including Coqui Calderon, Wilfredo Lam, Humberto Calzada and Rafael Soriano. On view through January 3, 2018. Also up during AB/MB: "The Artist as Mystic," an exhibition organized by Boston's McMullen Museum of Art featuring the late Cuban painter Rafael Soriano; and "Continental Abstraction," featuring works from the collection of the Organization of American States Art Museum of the Americas in Washington, DC. The museum's annual "Breakfast in the Park" — this year honoring L.A.-based artist Daniel Joseph Martinez — is Sunday, December 10, 9:30 a.m. to noon. RSVP required. Jeffrey Deitch and Larry Gagosian collab for a third year with a group show called "Abstract/Not Abstract" opening in the Moore Building (3841 NE 2nd Avenue, Miami) on December 6. Already included: Tauba Auerbach, Dan Colen, Sterling Ruby, Josh Smith and Christina Quarles. Over half of the 24 galleries participating in AB/MB's KABINETT sector will feature work by female artists including Etel Adnan at Sfeir-Semier Gallery; recent paintings by Joan Snyder at Franklin Parrasch Gallery; and wall sculptures by Brigitte Kowanz at Galerie Krinzinger. 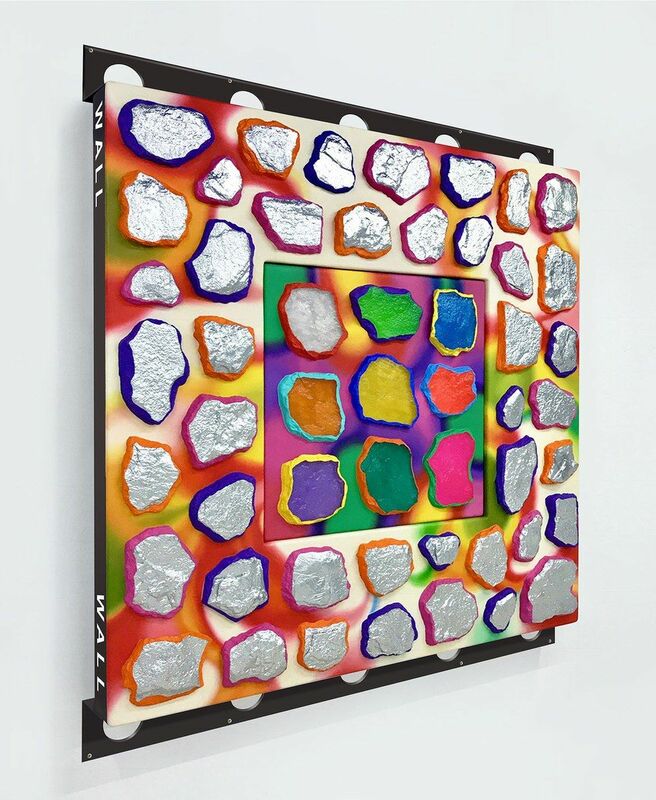 Lehmann Maupin will have new works by Ashley Bickerton who is currently showing at Flag Art Foundation in New York. The 2017 "Conversations" series in the convention center includes artist talks with Yto Barrada, Daniel Knorr and Arthur Jafa; plus, writer Teju Cole moderates a panel called "Is Culture in the Americas in Big Trouble?" on December 7, 6 p.m.
Superfine! (56 NE 29th Street, Miami) will be up late at their "Midnight Vernisage" on Wednesday, December 6, 11:30 p.m. to 1:30 a.m. Then the fair is open to the public Thursday through Sunday — with a queer-art film series called OUTshine" and "arTEA" party on Saturday evening. This year's third edition features over 150 solo and gallery-presented, young and innovative artists. Tickets are HERE. Untitled Miami Beach 2017 is back on the beach at Ocean Drive and 12th Street from December 6 to10, with a VIP preview on December 5. For their sixth edition, they're presenting several artist projects including an up-dated version of Gordon Matta-Clarks "Garbage Wall" (1970) built from "urban debris;" a mobile museum by Carlos Cruz-Diez; and a "shanty dwelling" by Sergio Vega. Also returning: "Untitled, Radio" in a site-specific, architectural project; "Untitled, Posters" featuring 10 FREE limited-edition posters; and tote bags, this year by Annika Strom and Slavs & Tatars. Spectrum Miami, Red Dot Miami and ArtSpot Miami are "under one roof" for a second year at 1700 NE 2nd Avenue, with one ticket granting admission to all three shows. They're open from December 7 to 10, with an opening night preview party on December 6 from 6 to 10 p.m.; and an "Art After Dark" party on Friday, December 8, 6 to 10 p.m. Spectrum will feature a stand-alone photo exhibition, "Foto Solo," spotlighting 10 global artists. Red Dot is a curated, gallery-only show and their theme for 2017 is "IMPACT." Patricia Field's "ARTFASHION" is back for another go-round with a pop-up shop open all of December — plus special events during AB/MB — at 2245 NW 2nd Avenue in Wynwood. The Freehand Miami (2727 Indian Creek Drive, Miami Beach) hosts a "New York Takeover" on Friday, December 8, with art installations by students from Bard College. The hotel will partner with Bard College on an artist-in-residence program called "Freehand Fellowship" at their upcoming Freehand New York, now scheduled to open near NYC's Gramercy Park in 2018. The Miami hotel's 27 Restaurant will also have a special menu by Matt Griffin, the chef at their NYC restaurant headed by Gabe Stulman of Jeffrey's Grocery, Fairfax, Fedora etc. To celebrate the 10th anniversary of the Knight Arts Challenge, the Perez Art Museum and the Frost Museum of Science will be FREE for everyone (with an rsvp to knight@culturalcounsel.com) on December 4, 7 to 10 p.m. Expect live music from Spam Allstars, Locos Por Juana and Afrobeat. Brigitte Kowanz. Courtesy of the artist and the Galerie Krinzinger and ABMB.